Real products we can test against Intel and AMD competition are still months off. Asus, HP and Lenovo have signed on to Qualcomm's ambitious plan to make Windows 10 PCs that run on ARM Snapdragon processors. If Qualcomm and its partners succeed, it would represent a major shift in the PC industry, which has been centered around Intel's x86 architecture for a couple of decades. Qualcomm, which is a powerhouse in mobile phone chips, wants to extend its platform to laptops and tablets. The new machines could benefit from its phone-centric focus on power saving and see battery life of 20 hours, said Qualcomm vice president Don McGuire in an interview at Computex in Taipei. Devices from the three companies are already under development and based on the Snapdragon 835 chip, which is used in the Samsung Galaxy S8, HTC U11, and Sony Xperia XZ phones. The new machines will compete alongside Intel-based models in a sector Microsoft calls "always connected" PCs. These are Windows 10 machines intended to bring some of the best features of smartphones to laptops: an all-day battery life and fast, constant LTE cellular connection. "It's all around this idea that a PC should be connected, just like a smartphone," said McGuire. On current Windows 10 PCs, standby mode means the machine is shutdown but Qualcomm promises greater things from standby on the new computers. "With these systems, you're truly connected and you will be syncing data, Cortana will be available and it give you truly instant on," he said. 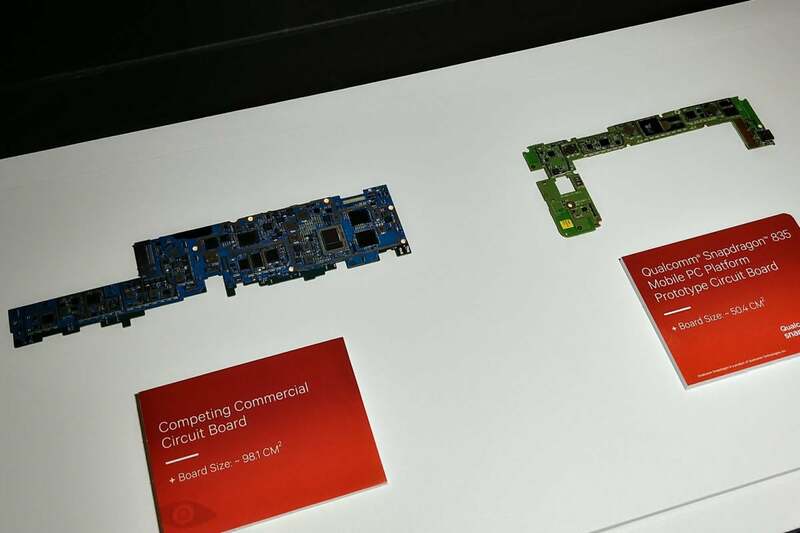 A Qualcomm Snapdragon 835 (right) motherboard for a Windows 10 PC and board from a competitor (left) are seen during a demonstration at Computex in Taipei on May 31, 2017. 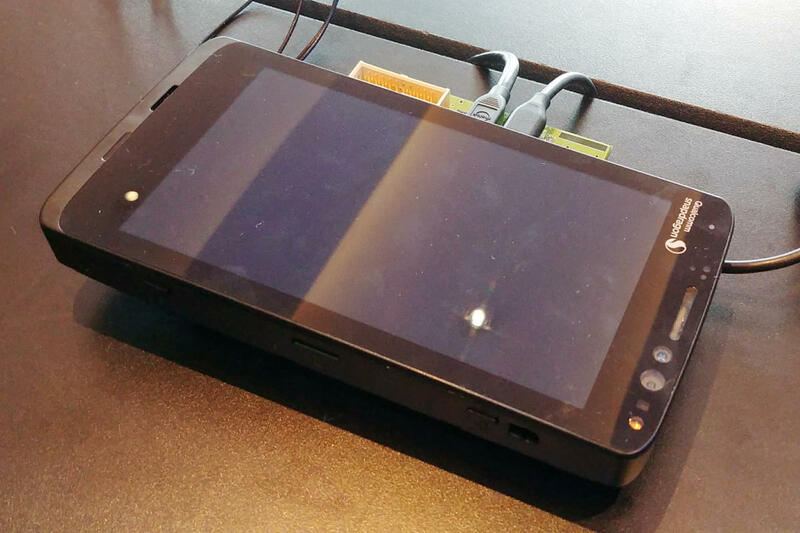 During a demonstration at Computex in Taipei on Wednesday, Qualcomm showed off a Windows 10 ARM development system running on the Snapdragon 835. The machine was running the full Microsoft Office suite without any significant lag and was able to stream a full-screen movie while keeping video smooth. The addition of Asus, HP and Lenovo will give Qualcomm's chances a boost, although it's worth noting that big-name support doesn't guarantee success. Microsoft learned this in 2012 when Asus, Dell, Lenovo and Samsung all launched laptops for Windows RT. The operating system was also based on the ARM architecture and ended up failing because of incompatibilities with too many Windows apps. "That was an experience that over promised and under delivered," said McGuire. "This is not RT version 2, this is full Windows running on the platform." 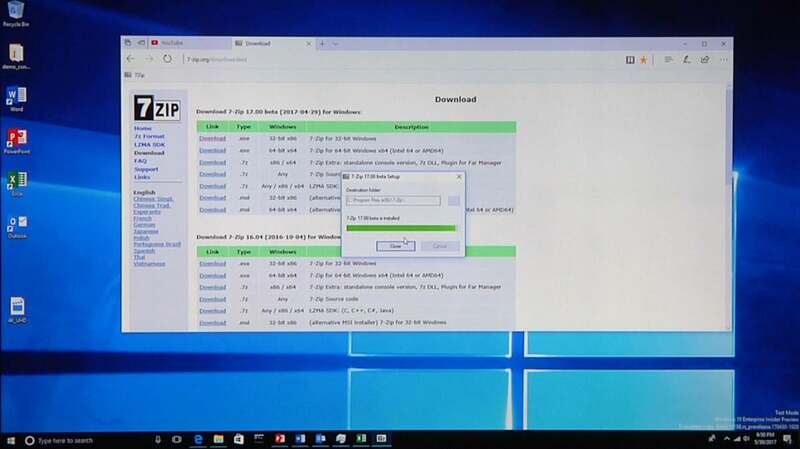 Windows legacy app 7 Zip is installed on a Windows 10 ARM development device during a demonstration at Computex in Taipei on May 31, 2017. Qualcomm says its platform can run both 64-bit universal Windows applications and legacy 32-bit apps. It demonstrated one such legacy app, 7 Zip, running on its platform without any perceivable problems. The demonstration looked promising, although the real test won't come until first-generation hardware is available for review. No ARM-based Windows 10 laptops were on show Wednesday aside from the demo unit. Qualcomm says machines should start appearing later this year. They are expected to cost between $600 and $800.